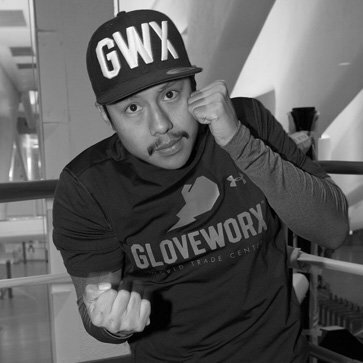 Ruben was taught boxing at 14 by an old school trainer which helped shaped his disciplined-focused approach to coaching. Even if you've been boxing for years, you're guaranteed to sharpen your technique through his sessions. Ruben believes that a great coach has to not only be passionate about his craft, but passionate about helping people succeed. Every class has a mental aspect to development the whole person so we won't be surprised if you end up writing down a few things he said afterwards. Book an hour-long private training session with Ruben Hernandez that’s dedicated to focusing on your improvement. This customized program will help you bring out your inner contender.